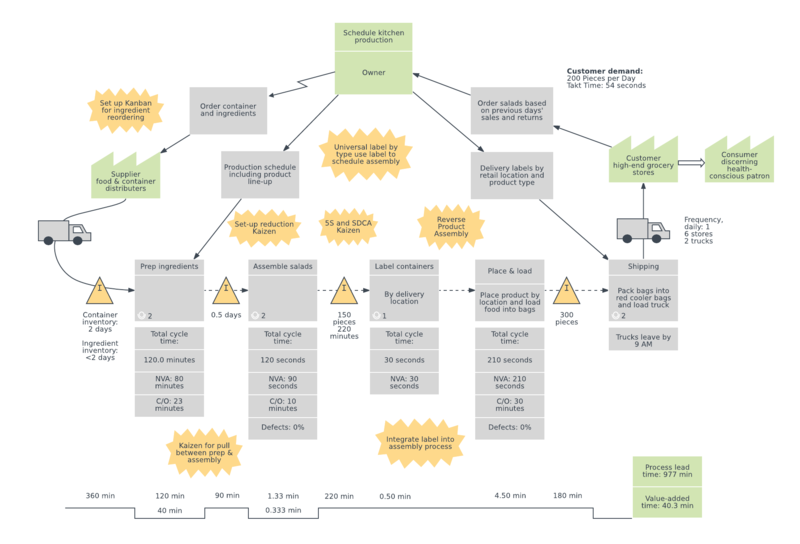 A value stream map shows how materials and information flow as goods are produced at a particular company in response to market demand. By identifying where inventory sits idle and for how long, a value stream can help companies know how to reallocate resources for maximum efficiency. To edit this inventory value stream map template, just sign up for a free Lucidchart account, then change the content to your liking.